This terrific mystery took me back in time to my childhood. It contains strong environmental and sustainability elements that drive a storyline which offers up lots of clues and lots of suspects with reasons why. This spices up this excellent mystery, and increases the pace and tension. It’s cover-to-cover reading. Sam is the owner of the Black Creek Farm, an organic farm and community supported agriculture venture which he wants to build into a viable business. The first Black Creek Farm buffet dinner is organized to promote and showcase Sam’s organic produce. His daughter-in-law, the pregnant Julie, tries the food before the dinner and is struck down with food poisoning. The dinner is immediately cancelled. With all the precautions that have been taken, how is it possible that the food became contaminated? Young sleuth Nancy Drew is called in to solve the mystery. It is obviously a case of sabotage. But who wants to destroy Sam and his business and why, when it will benefit all the area? 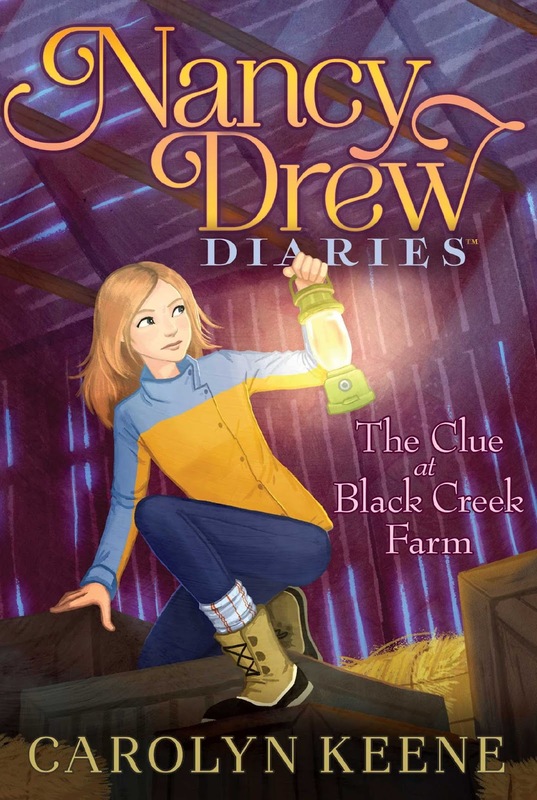 The first Nancy Drew book was published in 1930. Carolyn Keene is the collective name of the various ghost writers that created the series. For 85 years, they have been the popular choice of mystery reading for children. The highly popular Nancy is courageous, clever and a heroine that is never daunted.